If you know me at all, you know I am obsessed with compost. Obsessed. The smells, the textures, the joys of a high temp pile…it is magic. If you have tried it, you can probably attest to its mythical qualities. It is said that nearly 35% of our waste stream in NYC is compostable (food scraps, yard materials, paper towels, napkins, etc.) which is a significant number to redirect from the local landfill to urban gardens and parks in the form of compost. 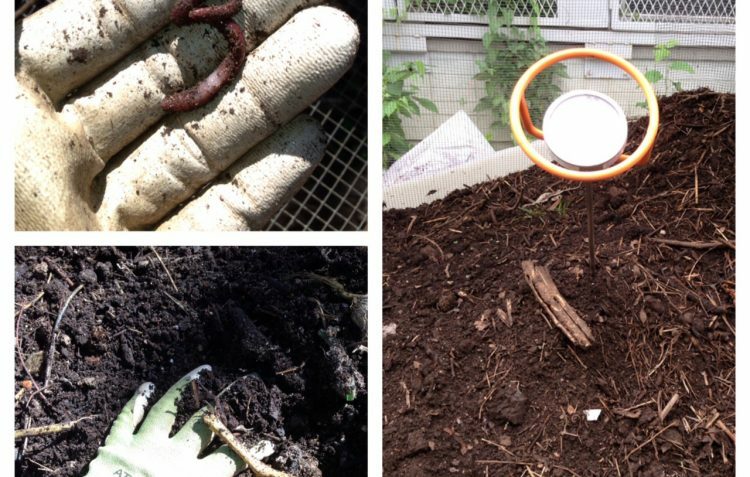 Composting is the process of transforming raw organic waste into biologically stable humic (read: decomposed) substance that makes for a great soil amendment (smells divine, unlike manure!) and is easily stored. There are all sorts of ways to do it and everyone has special techniques and formulas they consider to be the best. I’ve read that many early New England farmers used a mixture of 10 parts muck to 1 part fish and incorporated turning the pile much like is done on many small-scale farms today. If you do not have the space or desire to get a bin going consider buying a chic compost pail and check out NYC Recycles closest drop of locations in the city.